Square Enix’s Chenin “Luxpheras” Matthews of the Final Fantasy XIV Community Team has taken to the official site to share some concept artwork of Yiazmat, in advance of Part 3 of the Return to Ivalice series coming in Patch 4.5. Our last encounter in the Return to Ivalice raid series had us face off against the mighty Yiazmat in The Ridorana Lighthouse. 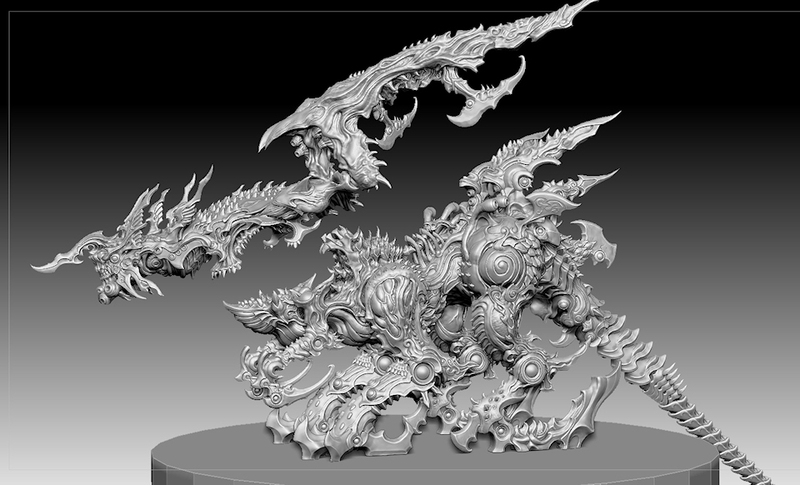 Amemiya was tasked with bringing this monstrous foe to life in FFXIV, and we’re excited to show off some of the concept art here today! Matthews also shares that “Patch 4.5 will see an end to the Return to Ivalice series” and as NPCs on the Prima Vista will respond differently depending on your progression in the story, it is recommended to chat with them all before Patch 4.5 is implemented.